Our annual bowling match with the team from Walthew House. 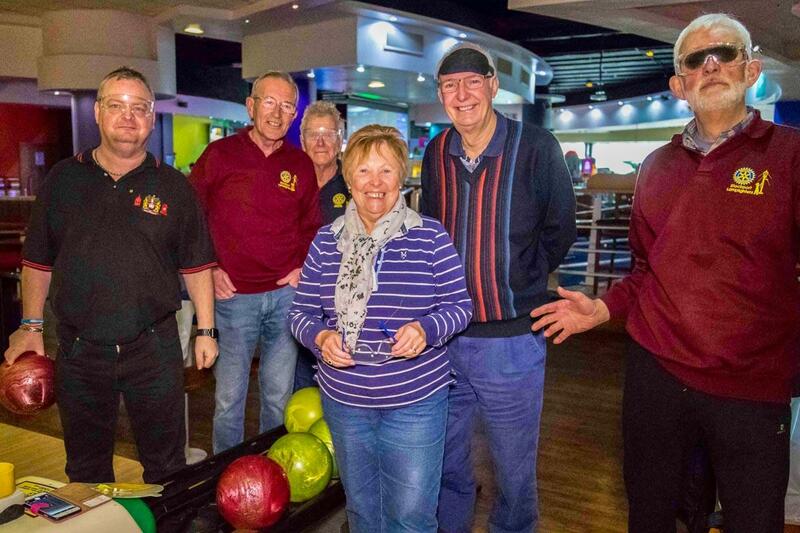 Members of The Rotary Club of Stockport Lamplighter and its E Club recently took part in the annual charity ten pin bowling competition organised by Walthew House, an independent charity in Stockport that provides support for people with hearing and sight loss. Walthew House has its own blind bowling team who meet weekly at the Parrs Wood Venue. And they’re good ! Sighted contestants were given a choice of different masks and glasses which represented various sight conditions from tunnel vision to total blindness and asked to bowl with these in place, not an easy task as one Lamplighter, John Palmer, found as one of his bowls went completely astray and into the side lane. This was a morning of great fun whilst raising much need funds for the charity and is just one way that Lamplighters are able to help their local community.